Everybody struggles with their emotions. People living with BPD experience emotions much more intensely and have extreme difficulties with regulating those emotions. 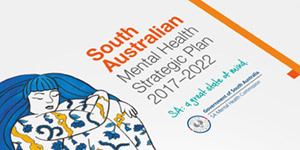 The South Australian Mental Health Commission is developing the State’s first Action Plan for People Living with Borderline Personality Disorder 2017–2020. A Project Steering Group was established in June 2016 to develop the Action Plan, which will be released in late 2016. The Commission will work in partnership with the Department of Health and Ageing, Primary Health Networks, the Department for Education and Child Development, Department for Correctional Services, SAPOL, SA Ambulance Services, NGOs and advocacy groups, including consumers and carers with lived experience. 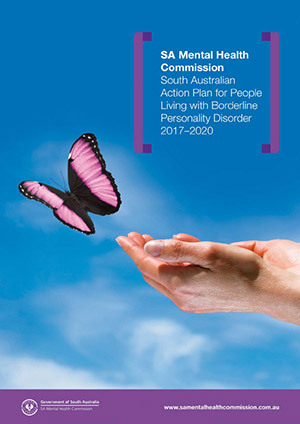 This Action Plan aims to assist people living with Borderline Personality Disorder (BPD) and their significant others, families and carers by contributing to the provision of better access to mental health care to improve the health and wellbeing of people living with BPD. BPD is a very treatable mental illness, most people can achieve recovery. While everyone experiences difficulties regulating their emotions, people living with BPD experience the extremes of emotions more intensely and more frequently. This can lead to intense positive emotions, but also emotional distress, impulsiveness and difficulties relating to other people. The suicide rates for people living with BPD are 10%, which are as high as those experienced by people with schizophrenia. Other forms of self-harm, not aimed at suicide, can complicate the condition. This is often misunderstood by treating staff. While a simple or definitive cause of BPD is not known, it is generally accepted that a combination of biological factors (such as genetics) and experiences that happen to a person while growing up (such as trauma in early life) are likely to contribute to this condition. It is thought that BPD affects between of 1 and 4% of the South Australians (17,000-68,000). For most people living with BPD, symptoms begin to emerge during adolescence or as a young adult. Women are three times more likely to be diagnosed with BPD than men. People living with BPD are over-represented in our mental health services, prison system, and drug and alcohol treatment services. They can struggle to find acceptance, respect and compassion within the mental health system and the general community, and may present with challenges for treatment and support services. Historically this was partly due to limited effective treatment options – but a range of psychological therapies are proving highly effective for BPD, providing hope for recovery. These therapies can also influence approaches to supporting people with BPD in a range of other settings such as prisons and other social services. With early diagnosis and effective treatment, the outlook for recovery is very good, many people recovering to a degree where they longer meet the diagnostic criteria for the illness. Better recognition of BPD as a treatable mental illness and access to evidence-based therapies will reduce suffering, stigma, unemployment, homelessness and premature loss of life.